When: Morning of 1st Sunday of every month following the NMC match, usually about 9:30 AM. The As-Issued Military Rifle Match is a multi-stage, multi-position high-power rifle match conducted per the Civilian Marksmanship Program (CMP) Games Events rules that puts competitors on a fairly even playing field by shooting vintage military service rifles that were or could have been carried by military personnel in combat operations. The match honors “those who served” and carried these rifles while on military duty and also strives to preserve the traditions of military marksmanship. The intent and spirit of the rules is to provide modern target rifle competitions for competitors who use affordable, readily available, as-issued military rifles of U. S. or foreign manufacture. Rifles from the militaries of both the U.S. and foreign countries in as-issued condition are allowed. U.S. rifles include: U.S. Rifle Caliber .30 M1 (“M1 Garand”), M1903/M1903A3 Springfield rifle, U.S. Carbine Caliber .30 M1, Caliber .20 M1941 Johnson rifle, Caliber .30 U. S. Model 1917 and the Caliber .30-40 U. S. Krag. Other U. S. military rifles such as the Caliber .30-40 M1895 (lever action) and 6mm caliber M1895 Lee-Navy rifle may be used. A foreign military rifle must be a rifle that was issued by the Armed Forces of a country other than the U. S.. All as-issued foreign military rifles must be manually operated bolt-action or straight-pull rifles. Semi-automatic or fully automatic rifles are not permitted. Replicas of any of the above are not permitted. EF&GA owns a number of M1 Garands that may be used by shooters who do not have a rifle. There is no fee to use a club gun, but club-issued ammo must be used with it, for which there is a charge of $15 for 35 rounds. Shooters unfamiliar with the M1 Garand, which is unique in its loading, should arrange for a training session with the rifle prior to a match, as there is not time during the match to do so. Other equipment that may be used are a spotting scope, shooting mat, shooting glove, shooting coat, and sling. Eye and ear protection is required. An empty chamber indicator (EIC) is required. EICs are available for sale at the match. The course of fire is the CMP As-Issued Military Rifle Course A. 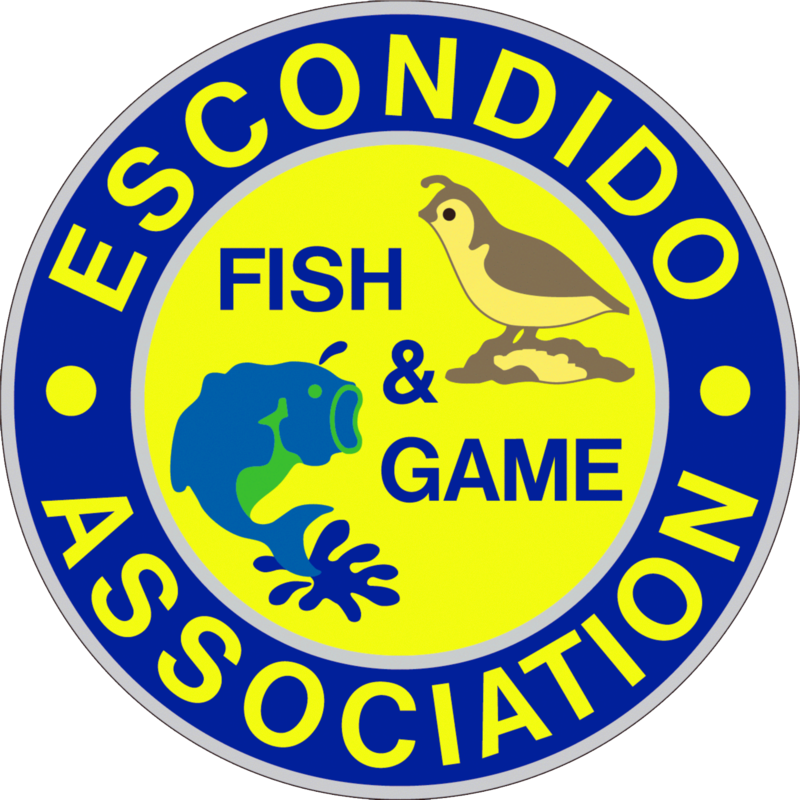 The Escondido Fish & Game Association’s match is a “reduced distance” version of the full distance match, with all stages shot at 100 yards rather than 200 yards with targets reduced in size accordingly. There are four firing stages in the match, one for sight-in and three for score. For each stage there is a three-minute preparation period during which shooters can adjust their equipment, get into shooting position and dry fire. Target changes are made between each stage during which shooters may collect their fired brass and prepare magazines for the next stage. The target for all stages is NRA SR-1. Prone stage - 10 rounds in 10 minutes, single load, from the prone position. Rapid prone stage - 10 rounds in 80 seconds from the prone position with at least one reload or magazine exchange. Shooters start from the standing, load and leave bolts open for manually-operated guns or over-ride the top round for M1 Garands. Shooters using the M1 Garand must shoot 2 rounds followed by loading and shooting a full 8 round en bloc clip (“2 & 8”); others shoot 5 rounds followed by a reload or magazine exchange of another 5 rounds (“5 & 5”). Standing stage - 10 rounds in 10 minutes ,single load, from the standing position with the sling in parade configuration. All the targets have 5-10 plus X scoring rings. Holes touching a higher ring are given the higher score. Hits outside the scoring rings, not fired, or on the wrong target are counted as misses. Scores are recorded for each stage and totalled for a final match score, with tie decisions determined by the highest number of X’s. A perfect score is 300-30X.